A heroic Olympian has come to the rescue of a little boy with a rare form of cancer. 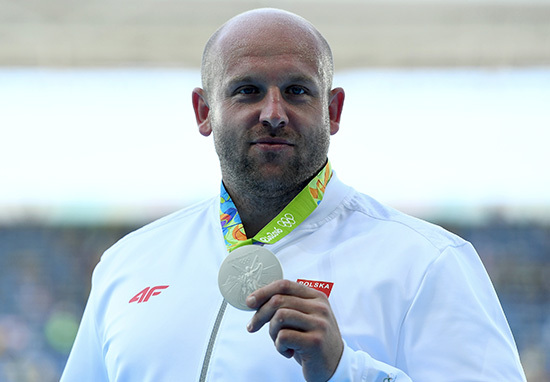 Polish discus runner-up, Piotr Malachowski, wants to ‘make his silver worth more than gold,’ which would make such a good superhero slogan, by the way. 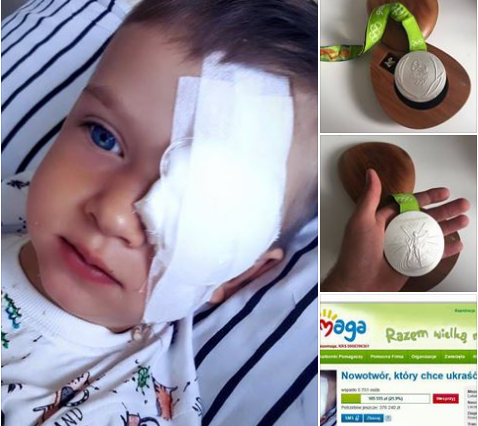 The 33-year-old donated his silver medal to raise funds for a little Polish boy, Olek Szymanski, who has retinoblastoma (an eye cancer affecting young children). His donation meant that three-year-old Olek could travel to New York to undergo treatment, the Independent reports. My silver medal is worth a lot more than a week ago. It is worth the health of little Olek. He threw 67.55m in the discus event in Rio to claim his second silver medal (his first was in Beijing 2008), finishing 82cm off Germany’s Christoph Harting’s winning throw. What a great story. Massive respect to Piotr for this.